AUSU is a member of the Canadian Alliance of Student Associations, better known as CASA, a group that lobbies the federal government and the public to bring awareness of issues that post-secondary students are facing, and provide student-driven ideas to address them. 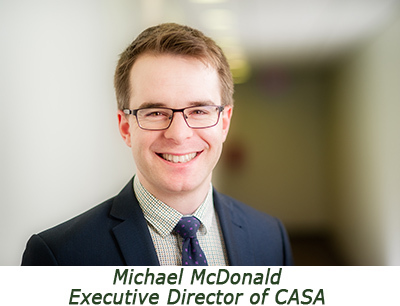 Michael McDonald is currently the Executive Director of CASA, and previously worked for them as the Manager of Stakeholder Relations. After a brief step into the federal government, he rejoined the group in his current position. How many universities are part of CASA? So, CASA has 21 member associations from across the country. Currently, the member associations from universities total 19; we have 2 polytechnic association members as well. Those university associations differ between undergraduate associations and graduate associations. About 250,000 people. How fast has the growth been? Over the last year, the CASA membership hasn’t changed, but we have struck a partnership with the Union étudiante du Québec, or the Quebec Student Union. It is a union that represents 75,000 students in Quebec. That provides an opportunity, really for the first time, for both students from English Canada and French Canada to engage on the same perspectives and presenting the same kinds of issues to the federal government. 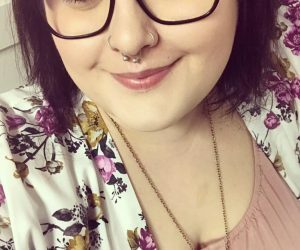 We are also looking forward to welcoming a new member from Capilano University Student Union later this year — as it looks like they’ve voted to join CASA. Do student unions have to be members to come to some of the events? CASA has an open-door policy. We want to make sure observers can engage with the organization. We represent students at the federal level. Student leaders find that It’s important to show to other student leaders who might be interested. At this conference right now, we have 4 or 5 student associations who have observer status. “Observers” are also some who may consider becoming members in the future. What have been some of the highlight events in CASA Foundations 2017, so far? I think our members would easily say CASA having the blanket exercise with the Algonquin First Nations elder, Barbara Hill, which provides a session or an experience of First Nations living in Canada for the last 500 years. It is one that grounds our members in the unique challenges and clear, pressing need for action when it comes to First Nations, Inuit, and Metis education. As well, it is important. It is also a highlight when the new student leaders come in and learn about a student organization that they get to take over. This is something that they are empowered to run. They make decisions about directions of functions, and about the objectives in the year. It is watching from day one to day four that is key. Each student leader takes their own approach to it. It is valuable for each one of them. I think that no matter what that was. You would have potentially have over 60 answers as to what is the best session. The hope is that each would have at least one. I noticed a positive, proactive, and constructive mode of operating with the student union executives while at CASA Foundations 2017. What makes this approach the best means to engage student union leaders? I think, from their perspective, student leaders have always demanded that their organizations represent their values. Those are values of optimism. Those are values that are proactive. Values that are engaged. That expect that there are places we can make improvements and find solutions. That perspective is one of the things. That perspective has provided CASA with dynamism over its 22-year history. It made sure that it continually reflects the changing and diverse interests of students across the country. 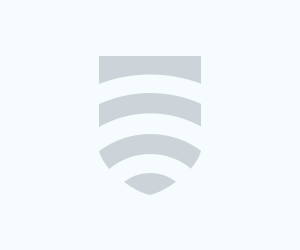 What are some themes of the issues that tend to come up from students? Very often, they are issues of accessibility, of quality, and making sure each student experiences high quality of life in that environment. Some key questions are ongoing. Questions around innovation in education, and questions about its affordability. Some of the core concepts CASA was built with, are still many of our questions today. The parameters between now and 1995 may be significantly different, but they are the challenges, if you look through the history of student advocacy, that have been ones that have been debated and discussed in different formats since the 1920s. What are some of the upcoming highlights for 2017? I would turn to our members to ask that, as they are the ones that will be setting that up. As a staff member for an organization that is responsible to, advocates on behalf of, and helps assist our members, one of the things that is wonderful is we get to see new things brought forward every year. As a staff member, I will leave that to the incoming board. What have been some of the biggest points of feedback from executives who have attended the CASA Foundations 2017 Conference? It just wrapped up. So I only have a bit of feedback. Executives generally appreciate a lot of the hands-on experiences they get. Many of the situations that we put them in for advocacy for communications skills are somewhat modelled after real life experiences: how to structure a meeting, how to engage with someone who may not be fully cooperative with you or may not want to support the same kinds of positions. That feedback and back-and-forth allow students leaders to make more productive use of their time, make sure they are better advocates at every level no matter who they are meeting with, and make sure they can focus on that throughout their time. What has been the comparison with prior years for this year, in terms of performance for the executives? CASA is always hoping to make a better experience from year-to-year for this conference. CASA Foundations has been running for 4 or 5 years now. I think we are getting better at it every time we hold it. It is one of those things that we are hoping will deliver the experience that student leaders demand and that they need in their environment. We think that, year after year, student leaders have proven themselves to be exceptional. We want to match that every year. For Athabasca University students, who are online and a significant number of those 250,000 people, what do you think is one of the major concerns for online educational institution students? I think Athabasca University students are right at the forefront of key questions in accessibility. 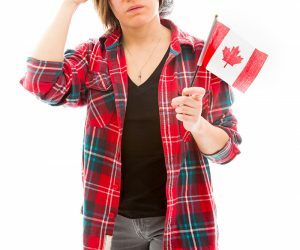 Many of the questions about how to make sure more Canadians—no matter what background, no matter what age—are getting back into postsecondary education if they need to in a way that is easy for them. It allows these students to upskill and gives them the opportunity to learn something in a facilitative fashion. 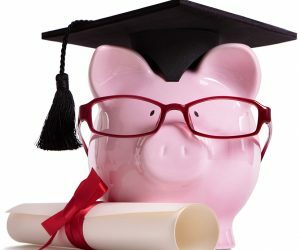 One thing that is going on, especially at the Canada Student Loans level, is how to facilitate those transitions back into education that don’t punish somebody that worked the previous year, or wants to be able to make that jump to another skill level or degree, or to be able to go onto that graduate level. To be able to make sure all Canadians across the board access past-secondary education is something Athabasca has always been focused on, especially to overcome geographic barriers—or somebody who couldn’t attend a bricks-and-mortar institution. This is a moment right now where the pilot projects that have been initiated by the federal government this year. This is the question that is being asked. The youth vote tends not to come out. However, CASA did the get out and vote campaign, and there was a much bigger turnout shown in the polls. How can students learn more about CASA and its voting campaign? One, it is our responsibility to make sure the information gets out and to be forthcoming about the things we’ve been doing. We try to provide executives with as much information as possible. Obviously, the traditional methods such as social media, our website. we’re really looking forward to making sure those successes are made clear and understood, so students can understand the political power that they do hold and the ability that this could have in Ottawa. That they aren’t powerless and are able to drive a lot of the policy. What does 2017 look like ahead for CASA and its membership? We just elected a fantastic board and appointed a fantastic set of committee members. we’re getting into the priority setting process. It is up to our members. The next two months we’ll be setting the key directions of the organization. It is going to be hard work, but interesting. I think this year holds a lot of interesting conversation. The Copyright Act is being renewed. There is discussion around access for adult learners, lead by a pilot project initiated by the Canada student Loans program. We will look at that. These are areas of involvement that students have an opportunity to engage in. I think the ground is laid for some successful advocacy.